Easy operation for frozen and cancel functions. 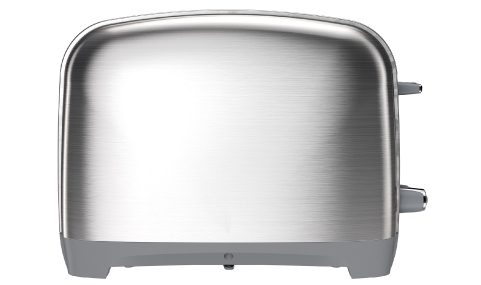 This toaster looks great on the countertop with a brushed stainless steel finish and its updated retro vibe. 2-Slice Toaster is rated 4.5 out of 5 by 42. Rated 4 out of 5 by QueenBe from Easy to use I got this product awhile ago and have to say it was very durable and easy to use. The look of it is sleek and cleans well. Rated 5 out of 5 by lanman31337 from Great toaster This toaster meets and exceeds my expectations. It evenly crisps toast and bagels with no issues whatsoever. Rated 2 out of 5 by PaigeTurner from Toasts unevenly, smells like burning plastic Very disappointed in this appliance. It does not toast either piece of bread evenly. The blue light indicating it is toasting failed after about 12 uses. Worst of all, it always smells like it's burning. I don't feel safe using it. Rated 1 out of 5 by Jeanyves from Won't lock in after 6 months I purchased this toaster 6 months ago and it won't lock down.The handle has to be pushed down by hand while the bread is toasting. Not worth it. Strange how we can amazing thing but can't get a toaster to work. Rated 5 out of 5 by jmp703 from Great! I like this toaster. It is light weight and looks great on my counter, very sleek looking. It works good, it's easy to use and operate. It's easy to clean. I have always liked Black & Decker products and this toaster dosen't disappoint. Rated 4 out of 5 by Double D from Meets expectations I'm pleased with the even toasting it provides with bread. Many levels of adjustment to meet different tastes. Waffles seem to toast better only on one side. Bagels come out good, too. 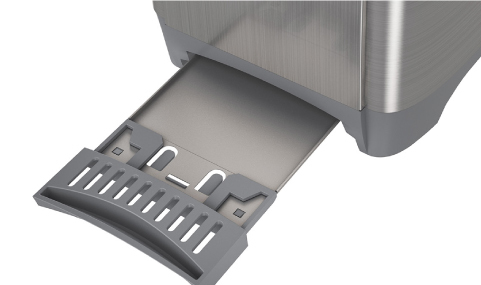 The brushed steel finish shows spots. The need to clean the outside often is annoying. Rated 5 out of 5 by Medgirl2001 from Sleek toaster This toaster is sleek and modern looking. 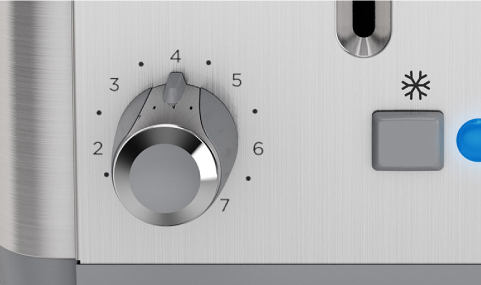 It toasts evenly, it's easy to use, and to adjust. I love it!